We know what most of us would say if we heard the name of Toro Rosso in a word association test. Red Bull's B team. Where it tries out the latest eager things from its young driver programme. But over recent years the squad's gradually becoming about more than that. While it was a not particularly concealed fact for a time that Red Bull was willing to let the team go at the right price, more recently the company has been trying more to make a proper go of Toro Rosso. Not least in developing its own aero department and programme. As recently as 2008 it essentially took its designs from the big team. The team has been growing, particularly over the last couple of years, and it has been doing so under the technical leadership of one of the most highly-rated guys out there in James Key. It is currently in the process of moving factories too to a larger, more consolidated, facility. There have been some growing pains along the way, and last year there were a few more. The Toro Rossos were a fairly common feature in qualifying top tens, though the general view was that the team didn't rack up nearly as many points as it should have done with that basis. Indeed on quali pace it seemed if anything quicker than the Force India, with what by common consent was a worse engine, but ended up with under a fifth of its points total (a mere 30 to 155). This was down to a variety of things, not least the Renault power unit not having the fuel economy of its direct rivals which of course included Force India, necessitating often a low power map in the races when petrol is rationed. Tyre wear and energy management on Sundays were problems too. But also the STR09's reliability was sub-standard, especially early in the year - its finishing record in the first eight rounds was a rather pathetic 50%. And this cost the team a number of healthy points hauls. Key admitted that it was explained in the main by a variety of maddening issues; sometimes basic ones. Yet as intimated the car was fundamentally a pretty quick one; its brake-by-wire thought to be among the best out there, while the reliability improved (but wasn't perfect) in the second half of the year. And ambition clearly is there. Indeed team principal Franz Tost has stated the aim for a fifth place finish in the constructors championship in 2015. That sounds rather lofty, especially for one with a Renault unit which still appears behind the curve and indeed Toro Rosso hasn't really set lap times in pre-season to suggest that it's running with the top five crowd. But the promise is that there is more to come from the French unit and more broadly that the Red Bull operation having Renault all to itself is thought a good thing by A team and B, with Key having spoken of the potential benefits. The STR10 for this year has impressed observers visually while the rate of development looks rapid too, given the team turned up to the second Barcelona test with a hefty aerodynamic upgrade, that Key said amounted to an 'almost completely brand new' car. It also throughout testing achieved mileage well beyond the A team, and both Toro Rosso drivers have race simulations in the bank. And for all that the fledgling driver line-up elicited barely concealed titters when announced both of the young bucks come in with plenty of talent and have performed admirably thus far. Toro Rosso looks well-placed to improve on 2014, perhaps considerably. Max Verstappen already has made his mark. Not many drivers can claim that their elevation to the sport's top table caused such a kerfuffle that the rules were changed to make their sort impossible in future. Those under the age of 18 in a race seat are to be a no-no from next year; superlicence qualifications were severely solidified partly to this end too. It ensures further, short of another rule change, that the mark of being the youngest Grand Prix driver ever will be forever his. As all of this implies, that a 17 year old is due to make his F1 race bow in 2015 - and one with but a single year of car racing under his belt, amounting to 48 races - caused rather a lot of hand-wringing. But the best evidence is that in Verstappen's case this was nothing at all for the sport to feel ashamed about. It should not be forgotten that there have been previous fine Grand Prix careers starting with a similar lack of car race experience (Kimi Raikkonen's springs to mind). The concept of teenage F1 drivers goes all the way back to the golden age of the early 1960s. More specifically, it should not be forgotten either that given Red Bull has gone to such a lengths to get Verstappen into its stable and away from Mercedes's - offering the trump card of an immediate F1 race seat - it must have seen something in there deserving of such drastic action. The not-exactly easy to please bunch must have been highly taken by his potential. And in pre-season testing the F1 crowd has been seeing why. Max has impressed throughout with Peter Windsor even likening his Jerez efforts to Michael Schumacher's Silverstone test with Jordan in 1991. This follows on from Helmut Marko likening Max to a young Ayrton Senna. Verstappen's race engineer, Xevi Pujolar, and has previously worked with the likes of Mark Webber, Juan Pablo Montoya and Eddie Irvine, described Verstappen at 'the best I've seen so far'. Last year in that freshman campaign in racing cars mentioned he won plenty of admirers, with ten race wins in European F3 and all the while displaying a surprisingly rounded repertoire and a particular aptitude as a racer. All of this seems to suggest that Max is no ordinary young racing driver. Already he looks absolutely like he belongs at the sport's highest level. Not only has he been flawless in an F1 car but his poise out of it is extraordinary. The step-up does not appear to have fazed him at all. Perhaps this shouldn't surprise us, given not only does he have his father's experience to draw on but he also is one in his motor racing development who has got well used to doing things ahead of time. Only really in his maturity, something that surely will come with time, can he be faulted right now. Not everything in modern F1 should elicit disgust. 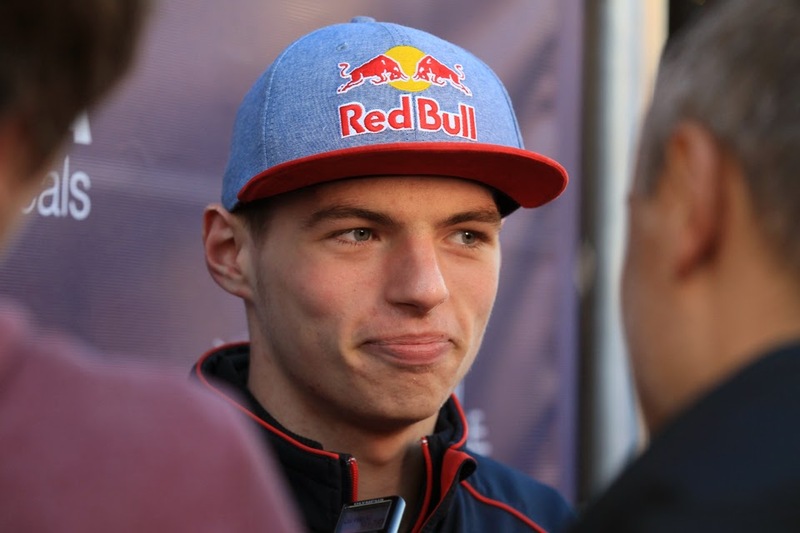 Least of all Max Verstappen. 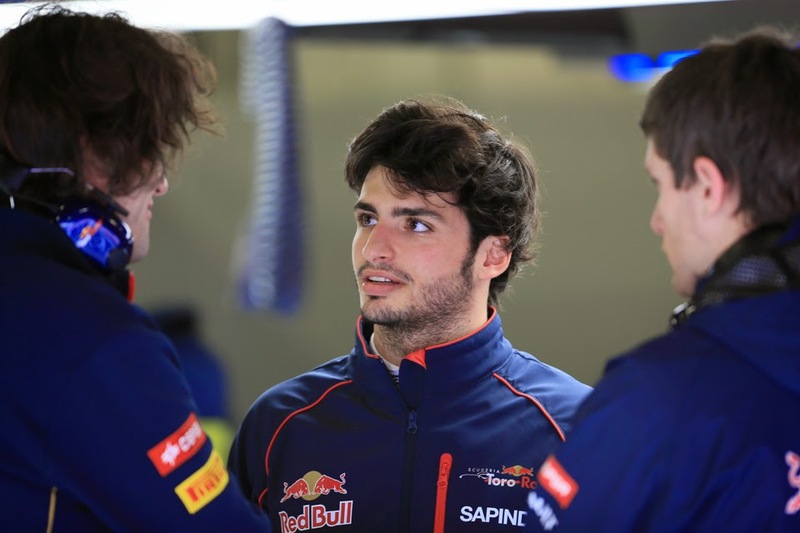 Carlos Sainz Jr's F1 promotion to F1 didn't look likely for a long time. His career in the junior formulae started well, but then plateaued for a couple of seasons. In that time his star was out-shone by others in the Red Bull skyline. His GP3 champion team mate Daniil Kvyat was fast-tracked to F1 while a winless Sainz was left on the departure platform. And the Red Bull programme is notorious for not reconsidering those it has already passed over. Still come the 2014 year Sainz found something. He admitted he 'knew it was my last chance to be a Formula One driver' and changed his mental approach, throwing 'everything away expect my talent'. While his father has spoken of him having a 'boy to man' conversion in the preceding off season. And sure enough he went and claimed the Formula Renault 3.5 title with something to spare. Still, that Toro Rosso in August went for Max Verstappen rather than him to fill a race seat seemed to suggest that Helmut Marko had nevertheless parked him mentally. But just when it appeared that Sainz was consigned as another Antonio Felix da Costa he had a stroke of fortune in the form of Sebastian Vettel unexpectedly dashing off to Ferrari. The resultant shake out left a space at Toro Rosso, which Sainz gladly filled. Many aspects of his skill-set aren't to be questioned, not least his raw speed and wet-weather abilities. Though those who watched him last year wondered, a little like with at least one previous product of the Red Bull programme, if he's much more comfortable dominating a race from the front than fighting in the pack. If so it's something he'll need to develop in a midfield Toro Rosso. He pre-season testing performances have been generally good, though the consensus is that they've been shaded by his team mate's efforts. 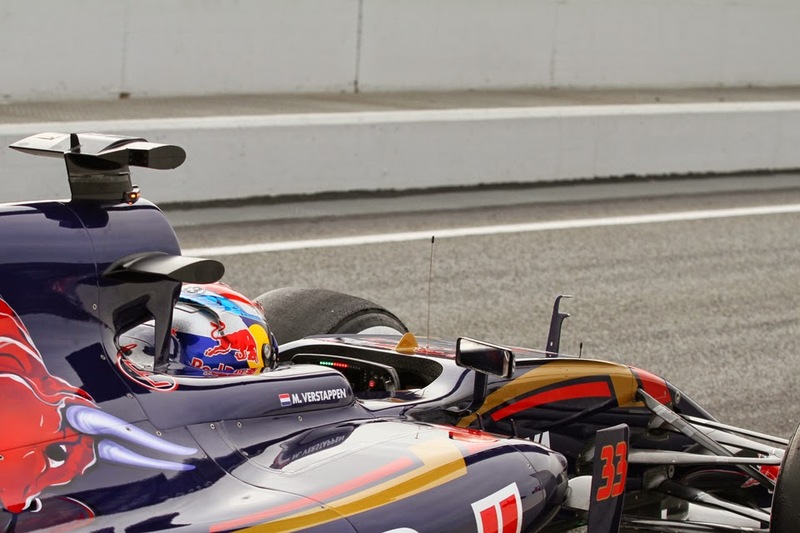 Some have noted that out on track in testing the STR10 looks more ragged with him at the wheel than it does with Verstappen (though that will owe something to Sainz's spectacular driving style), while he's also had the occasional off track excursion. And he can't afford to hang around. Red Bull as we've seen can be incredibly unforgiving with its youth products, while Franz Tost has said that he expects points from the season's get-go. And if Verstappen out-paces Sainz consistently then before we know it the next Red Bull fast young thing will start to pace impatiently outside the Spaniard's door. By the looks of things Verstappen won't be easily usurped either. But then again Sainz is one who has shown the ability to deliver against expectations, and when under pressure, already.